It is bachelorette season and we have been super busy these past weeks hosting a slew of unique gatherings for our guests of honor. We live to bring you an experience like no one else can in the Midwest because we know that you are unique… and so is your pending wedding day. We thought we would run down how our traditional burlesque style parties work… for those of you considering this as an option to celebrate with your bridal party and closest gal-pals. Where would you like to host your party? That’s right, we are a mobile business, but we can certainly help you (or even book for you) where to host this celebration. We have taken residence in hotel suites, rental homes, dance studios and nightclubs. We have some awesome relationships with all kinds of spaces, so please let us help you if you need it. Most of our parties are two hours long… and we jam pack that wall to wall! When you arrive, you will get the 411 on what is about to go down. Even our most “basic” of packages will having you totally smitten. We will teach you how to make pasties… or as we call it, crafts for big girls. Everyone gets to take home something totally unique from their experience with us. Want to know what it feels like to wear the most amazing costumes? We have you covered. 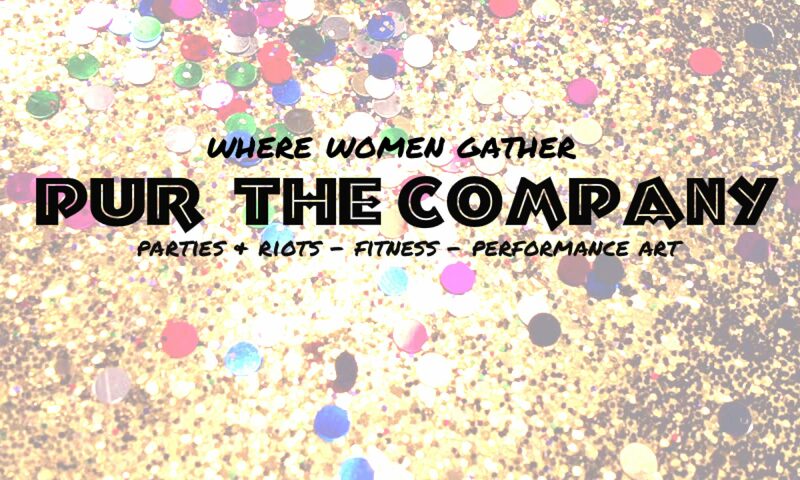 Pur | The Company brings loads of costumes to your event so you can create your own look. We go beyond the boa… and you’ll have VIP access to our corsets, hats, ties, gloves, shimmy belts, belly-dance garb, boleros, vintage pieces, dresses, wraps… you name it. From there… we will teach you a signature Pur | The Company routine. Our instructors all have been with our company for years… and know a thing or two about burlesque and dance in general. Don’t worry if you’ve never danced before… Also, if your guest of honor is ga-ga over a song… or has a signature sassy song… let us know and we will create a one of a kind choreography for your party! Are you adding makeup and hair to your party? We have makeup artists on standby to create either pinup or bombshell looks on all of your guests including false lashes! Are you adding photography to your party? Pur has two fabulous photographers on staff for those of you who are looking for an even more unique party. We can do boudoir, glamour just gorgeous head shots depending on what your party vibe is. Every guest of honor takes home a swag bag… filled with goodies that every burlesque girl should have! Are you “not local” to Indianapolis? No problem… we travel for our parties or hire someone close to you. We have an awesome network of amazing party givers so if you are in Chicago… Chattanooga… or Carlsbad or Charleston… sat the word and we can make the arrangements. Maybe you’re not a burlesque gal… or a the dance type. That’s awesome…. because we a truly unique list of RIOTS (party options) that are sure to get you excited. You can find those on our party page. We are thrilled you have found us…. and we can’t wait to make one more aspect of your big day a big big deal. Email us anytime to gather more information. Next PostNext WHAT AN EPIC SUMMER!